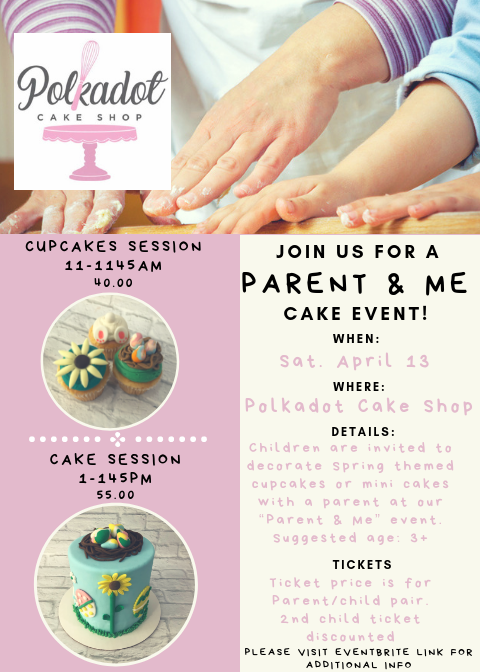 Themed baking and decorating classes are now being hosted by Polkadot Cupcake Shop. 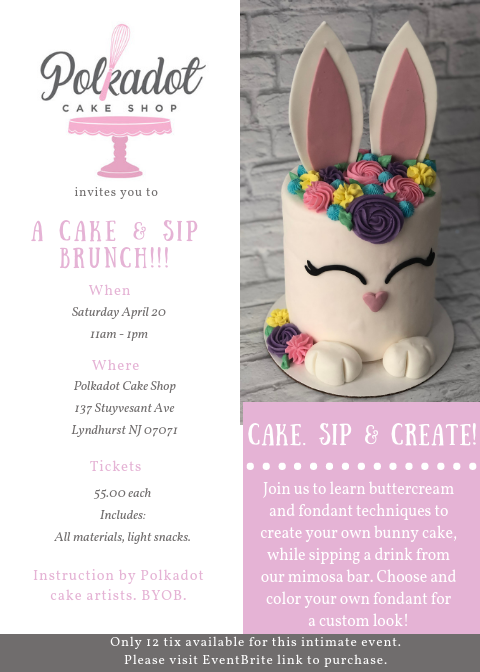 In each class, attendees will be taught a variety of techniques from the Polkadot team such as baking cupcakes, cakes and cookies, filling and frosting cakes, decorating cupcakes with buttercream, royal icing cookies, and fondant work relevant to the class theme. Attendees will get to take home their delicious creations at the end of each class to show off to family and friends! Classes begin at just 40.00 and run 1.5 – 2.5 hours. 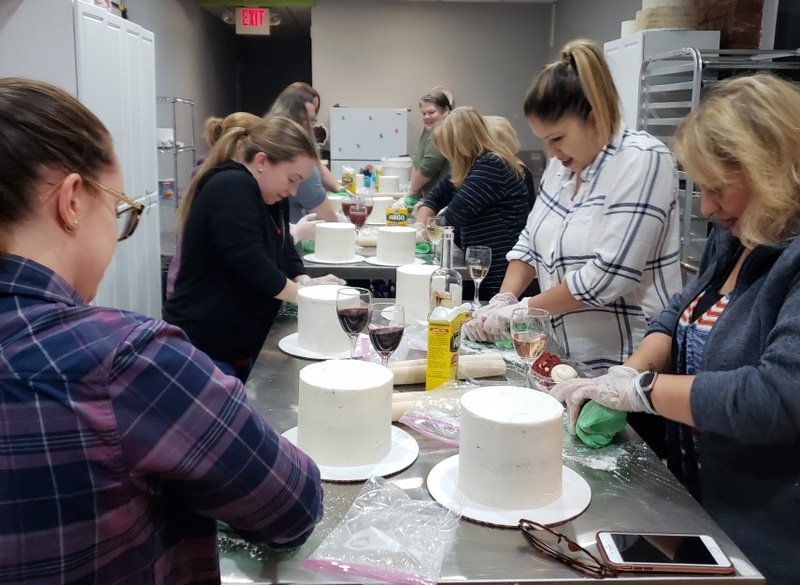 Our Cake & Sip events offer the perfect combination of girls night out, cake decorating and wine! Each event has a different theme for the cake. The events are BYOB, and run 2-2.5hrs, with tickets ranging from 50.00-75.00. All materials are provided, and each guest leaves with their very own cake masterpiece that they’ve created with instruction by Polkadot cake decorators. Private classes and cake & sips starting at just 6 guests. Ask about fundraisers and parties!